ART THERAPY REFLECTIONS: What is the Difference Between Art Made in Therapy and Professional Art? 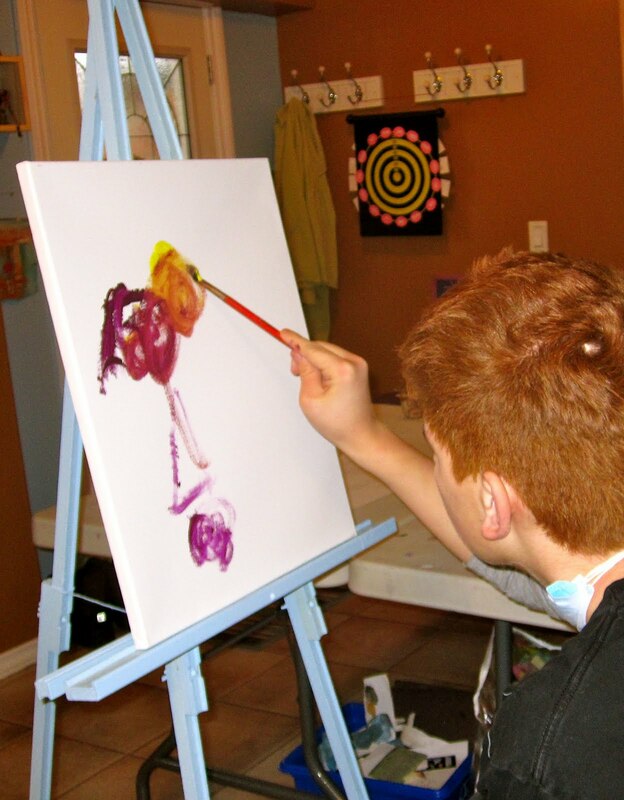 What is the Difference Between Art Made in Therapy and Professional Art? Most of the art that I show on my blog is art that has been made in therapy. 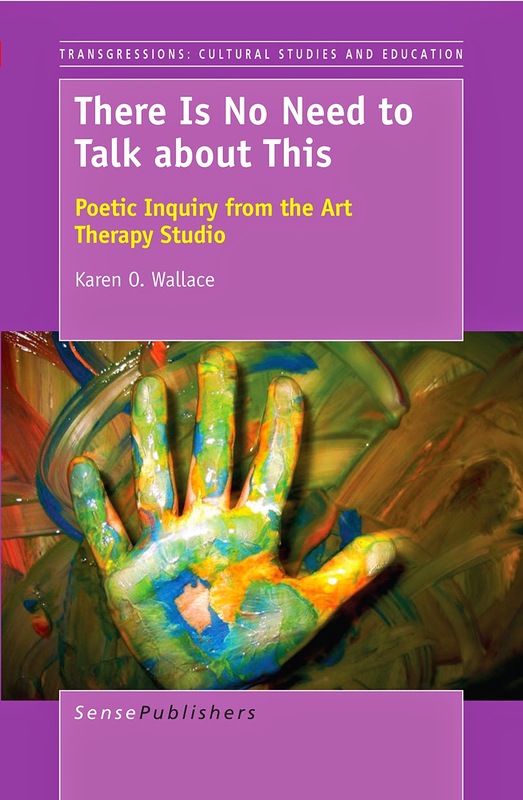 The intent of creating art in therapy is to release some emotion, explore a feeling or thought, explain a belief, meet and express a body sensation, and/or visually express some insight. The art could be a response, expression, a living forward and/or the next step in exploring an inner or outer experience. The art in therapy usually comes from a feeling and/or a sensate place. It could be the result of a practical exercise to figure out an issue or make a decision. But, the intent is not usually to look good, professional, and/or finished. 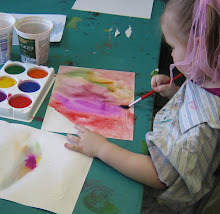 It comes from the creative work that we are doing therapeutically. This is not to suggest that clients do not like what they make or feel attached to their work. They see it differently than work they do for their home or an art show. Often when people make therapeutic art, their face, body and words are an important part of the piece. Clients can talk about their issues as they paint their feelings or be in the middle of a Focusing session and express some of their feelings or thoughts on paper as they stay Focusing. It can be used as a way to start a session as a centering and becoming Present tool, as a way to close a session as a safety and containment tool, or a way to safely express big emotions and traumas in the middle of a session. It can be completely symbolic or literal. It can be used to help the client relax, feel calm and settle or to ignite excitement or inspiration. One aspect of therapy is communication. Art is a form of communication as is writing, dancing, singing and talking. Talking through art can be therapeutic. You may feel that you create professional art with the same intent, to communicate, express emotions and insights. But you are also concerned in how the process looks and how it communicates its message to others. You may be aware of the elements and principles of design and your own personal artistic style. In therapy, these layers to the creative process are stripped away. You are creating from a present, sensate oriented place that is immediate and fresh. 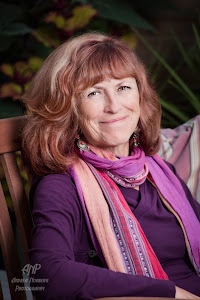 Your own personal style may come out, but you are inside the therapeutic process of exploring a problem, part of your experience or a felt sense. In therapy, you may feel free to let your defences down, open up inner doubts and shame, and face overwhelming feelings without guards. The therapeutic artwork reflects this transparency. The guards are down; it is raw, real and fresh. I'VE BEEN FOLLOWING YOUR BLOG FOR QUITE AWHILE, AND ENJOYING IT TOO. TODAY, I CREATED A SLIDE SHOW BUT HAVE NO IDEA HOW TO RECOVER IT OR WHERE IT IS. BUT IT WAS FUN...I USED SOME OF MY PHOTOGRAPHS. Karen your last sentence really hit me! "The guard's down; it is raw real and fresh!" what a great way to describe freedom while painting. I like the idea that the goal in art therapy is to create something that communicates a healing idea to oneself, whereas in creating fine art, the goal is to communicate (or sometimes conceal) an idea to others. Thanks for your wonderful insights Karen. Hi Karen. I appreciate your blog. As a mom to a child who lives with numerous challenges, I'm convinced that the therapeutic elements I've done with him over the years have greatly contributed to his successes. I believe music and visual art have been huge pieces in his life, even during times when he himself chooses not to actively participate.